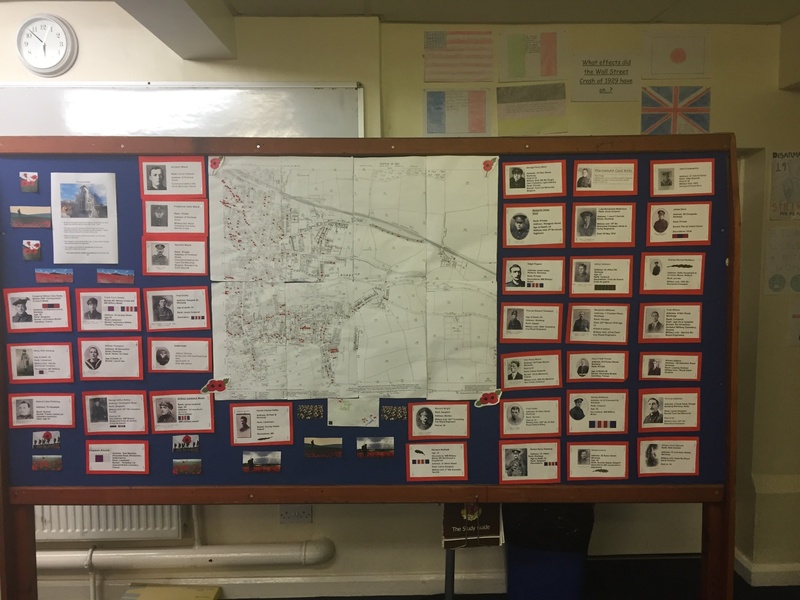 History students have created a visual representation of the town of Worksop’s war dead using a 1914 OS map. 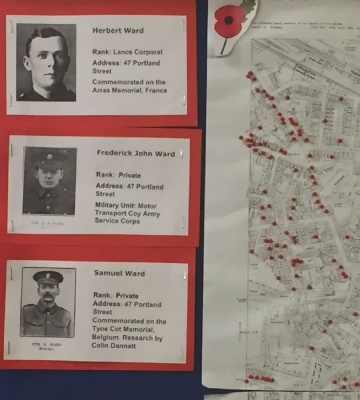 Students placed red pins on the map to signify the houses of the town’s war dead, having found them via the Cenotaph website (war memorials) which listed details of the men. Up-to-date Google Maps technology was then used to locate the addresses on the 1914 map. Over 450 men are listed on the town’s cenotaph, with 312 hailing from within the boundaries of the OS map - a pin was placed for each one. “Students found researching all of the individual stories very moving; from the 18-year-old killed in his third year of service, to the chaplain blown up while comforting the sick at an aid station. An Armistice Archives Evening will be held at the College on Wednesday 14 November, you can secure your place here.